As each and every one of our bodies grow and change over time, with different issues affecting us at different life stages, so do our mouths and dental needs. Today we take you through the various dental issues that affect us at each stage throughout our lives, and how we can keep our dental health optimised. 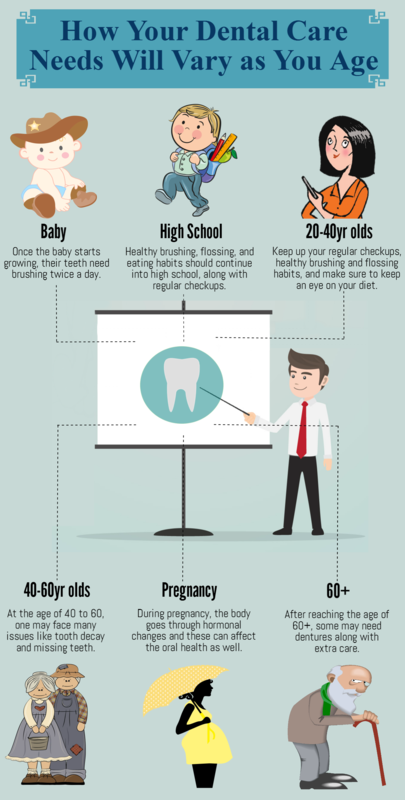 Once your baby is born, it’s time to start thinking about their oral health. Wipe down your baby’s gums with a damp cloth to remove the plaque build-up on a daily basis. Once their teeth come in you’ll need to brush – twice daily. Try to discourage thumb-sucking as this can affect tooth growth in the future. Baby’s first check-up should be at 1 years of age. When children are young they are very susceptible to tooth decay. To reduce the risk of tooth decay you should instil proper brushing and flossing habits early and not provide your children with sugary drinks or foods. High school is a huge time of change for everyone. Healthy brushing, flossing, and eating habits should continue into high school, along with regular check-ups. If your teen’s adult teeth have come in crooked now is usually the time that they will be fitted for braces. Make sure that mouthguards are worn during school sports, and avoid oral piercings to prevent tooth damage. Keep up your regular check-ups, healthy brushing and flossing habits, and make sure to keep an eye on your diet. Teeth grinding may become an issue due to stress, which can be rectified by exercises and wearing a splint while sleeping, and root canals might be necessary. If you’re planning to conceive it is very important to have your teeth checked beforehand, Dental emergencies are undesirable during pregnancy and certain procedures and medications are normally avoided during pregnancy. Because your body goes through a lot of hormonal changes during pregnancy, these can also have an effect on your oral health. Some women develop gingivitis during pregnancy, which your dentist can help to address. Your teeth are now starting to age significantly, which means that issues such as tooth decay and missing teeth are going to be some of your biggest issues. This may mean needing bridges or implants could be on the cards. Some people over the age of 60 will need dentures, which require a different kind of care. You must also be on the lookout for mouth cancers at this age. 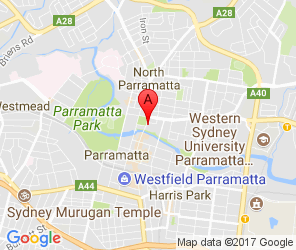 Come and see us in our dental clinic in Parramatta for your check-up and the best oral and tooth care at any age. We can provide you with helpful advice on the best oral care for your stage in life. Call to book in at Dental Avenue Parramatta today. Why is our Self Esteem So Impacted by Having “Bad” Teeth?